It didn’t take long for the sun-lit islands along the Dalmatian Coast to be rediscovered after the signing of the Dayton Peace Agreement in 1995. First locals from Serbia, Croatia, and Bosnia-Herzegovina arrived for family vacations. They were followed by Europeans and eventually, North Americans, all of whom were eager to explore some of the more than 1,000 islands that dot the Adriatic. Croatia now rivals established players in the vacation arena like Capri, St. Tropez and Mykonos. Before you book rooms at an airbnb, hotel, or ship, decide to travel independently or join a tour, it’s worthwhile to explore your options. Some prefer to be island- based in hotspots like Hvar, a booming town. 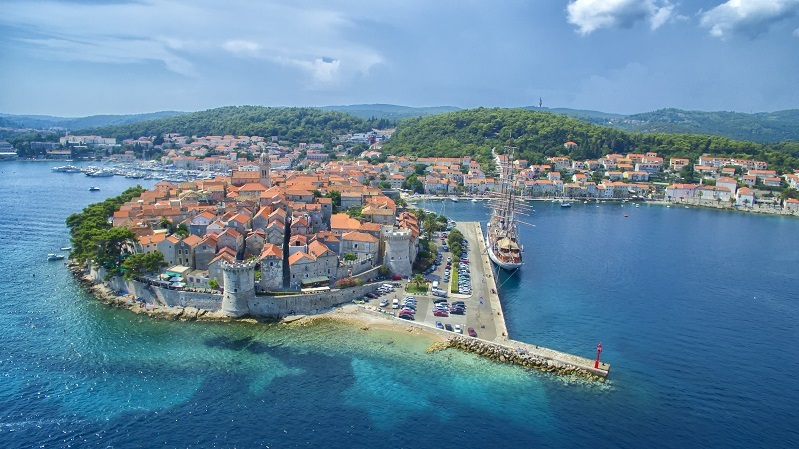 Another popular land choice is the slightly less crowded and charming Korcula, a 15th century town. It was the southern-most city of the Venetian Republic and still has an Italian ambiance with traditional stone houses with red-clay roofs. At night, this charming old town it is delightfully quiet as day visitors have dispersed. This is quite the opposite of Hvar and Dubrovnik, Croatian towns that never sleep. If you choose to be land based, you can take your chances in Split or Dubrovnik, hugely crowded and bustling, in fact, bursting with tourists. 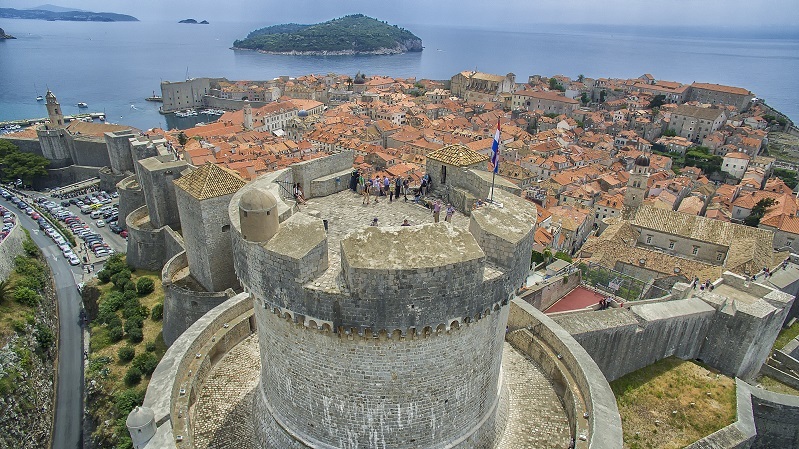 Traveling in both places is like visiting a huge film set… think “Game of Thrones” which was filmed in the region. Split is an historic fortress town known for Diocletian’s Palace and the Roman Temple of Jupiter. The crowds are daunting. The fourth-century edifice is not really a palace, more a military garrison and fortress, best visited at night where actors and singers often perform. Some stay-put visitors with a yen for luxury opt for fabled Hotel Excelsior Dubrovnik, recently renovated, and located on the town’s waterfront. It boasts the best terrace in all of Croatia. Should you walk the ramparts of the city, you can still see repairs made when Dubrovnik was under siege during the Croatian War of Independence 1991 -1995. One guide reminded his walking-tour group that Dubrovnik barely survived a terrible eight-month siege in 1991. Built between the 13th and 18th centuries, the 1.2 mile ramparts are now intact, steep in places, but worth the effort for the jaw-dropping views. 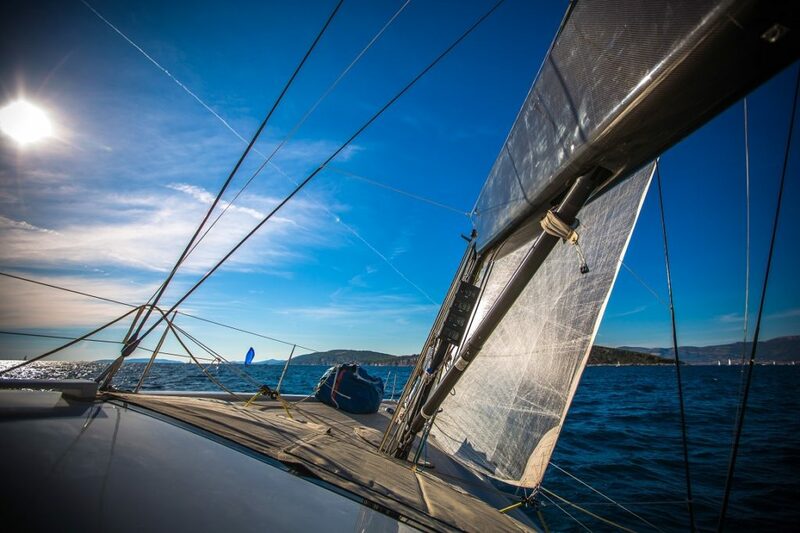 The Adriatic is great sailing territory. As a rule, the seas are calm, the winds blow steadily, and the private sailing yachts are best bets, especially the trimarins, three-hulled ships that sleep seven or eight plus crew. One of the great advantages of sailing in these waters is the remarkable vistas, the majestic white limestone mountains which dominate the rugged coastline of most of the islands. The captains also know secluded places to drop the hook for swimming in crystal clear waters, usually perfect temperatures throughout the summer and most of fall. However you choose to explore, keep in mind what’s available almost everywhere: taxis, bikes and mopeds, water taxis and ferries. Count on fresh fish and seafood at every meal, good local wines, and traditional Croatian hospitality. This is the land of lavender, olives and wine, but few birds or wildlife. And sadly, the once ubiquitous Mediterranean monk seal, the unofficial mascot of the Adriatic, has virtually disappeared. 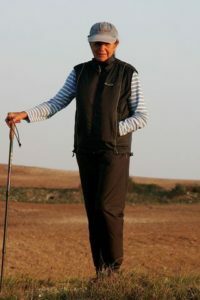 Bobbie Leigh has written for many national publications including The Wall Street Journal, Travel & Leisure, Departures and Art & Antiques. A short article that makes one long for spending time on the Dalmatian Coast. Too many options for the visit- which is good for adventurous visitors. I got a wonderful mental picture of traveling across the docked boats in getting to shore.